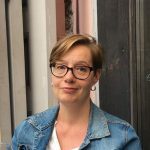 Over the past ten years Kirsi Latola has worked as a research coordinator at the Thule Institute at the University of Oulu and managed several national and international projects on research, knowledge sharing including organising several international events and graduate education. She has managed the University of the Arctic (UArctic) Thematic Networks strategic area since 2005 and is now acting as a Director of Thematic Networks. I addition to her work for UArctic and supporting the other research projects and proposals she is leading the transnational access work package in INTERACT - International Network for Terrestrial Research and Monitoring in the Arctic (FP7, 2011-15 and H2020 2016-2020) and a task on stakeholder consultations in a EU-PolarNet project on Polar Research coordination (H2020, 2015-2019). Kirsi is currently acting as a chair of the European Polar Board and Thule Institute’s representative in the EPB.